@mavrickdanny brings us the sand dunes in Florence. Tag @sourceweekly and show up here! 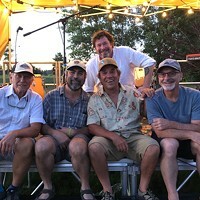 In May, Un-Bag Bend, a coalition of local citizens, made a proposal to Bend City Council, for a passage of an ordinance to ban single use plastic bags (those less than 4 mm in diameter). The Ordinance is meant to prevent waste, decrease environmental pollution, reduce contamination of recyclables and provide incentive for each of us to be more aware of the impact we have on the world around us. One- to pass an ordinance by years' end with a trial period and re-evaluation, Two- to defer the issue until after this November's election or Three-to abandon the issue for now. To date, 10 cities in Oregon have passed an ordinance to ban the bag. We hope that Bend can join them. If you are in favor of passing the Ordinance to ban single use plastic bags, please contact Bend City Council at council@bendoregon.gov. A majority Council vote could put the resolution into effect. Oregon law enforcement has had a long history of being intertwined within federal migration and immigration policy while supporting controversial policy subjects. In fact, the very subject influenced our path to statehood in 1859. Our state was admitted to the union on the premise it would be as a refuge for slaves in times proceeding the Civil War; however, our state government during the time enacted a clause that excluded black people to be a part of the equation. What? So, in other words, Oregon's union entry was granted because slavery protection and refuge principles, but our Oregon leaders at the time snuck in—only if you were white. Fast forward to present times it's a reverse role with the federal government that now wants to dip into our enforcement workforce and have more power over our passed measures and laws and use our own tax paid funds to do it. It's a red herring. I feel that Measure 105 is using the subject of immigration to enable stronger federal law enforcement control over our local and state agencies. Oregon taxpayer money should be kept in our communities and not diverted to do the job of federal law enforcement. Local police personnel, funds, equipment and facilities are not to be used to pursue and detain people who are not performing criminal activity and we shouldn't begin now. This measure would change that operational stance and opens the door for the feds to take control over our voted and passed state laws that conflict with federal laws, like recreational marijuana, assisted suicide and gay marriage. Do we really want to give the federal government this much power over our local and state law enforcement management and control over our other controversially passed measures? We are a state of the union and we need to tell the federal government to back off and let us decide how we want to vote and spend our own tax money. Brian: Thanks for the insight. 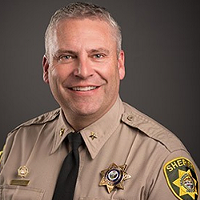 We posted on our website last week about the Deschutes County Sheriff, Shane Nelson, coming out in support of passing Measure 105. Readers can find that story in the News section of bendsource.com. For now, come on in for your gift card to Palate!